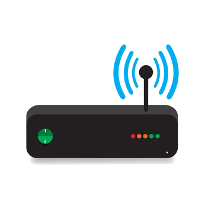 QuestingHound Technology Partners offers complete wireless system deployment for South Florida small and medium-sized businesses. By having a uniform wireless strategy implemented throughout your entire business, your users can access the Internet, and your intranet, regardless of their location in your office. There are a number of factors that require your attention before implementing a wireless solution, and QuestingHound Technology Partners can walk you through the process every step of the way. QuestingHound Technology Partners knows the ins and outs of how to set up wireless access across your organization’s entire office, including how to avoid discrepancies with both wiring and router specifications. Our trusted technicians know can quickly ascertain what kind of wireless routing solution that would be best for you, and they’ll work around your requirements to ensure you get a wireless network that meets your business’ unique demands. This is why it’s imperative that you understand the limitations that your routers have, and that you need to consider how many users will be accessing each one at any given time. QuestingHound Technology Partners can help your business optimize router deployment so that your users have consistent access to your WiFi at all times, increasing both productivity and efficiency. When QuestingHound Technology Partners deploys a wireless solution, we make sure that it takes into account industry best practices to create the WiFi security you need to protect your network. You don’t want to rely on the default hardware-level firewall protection to keep your business’s network safe from threats. Our professional technicians know how best to keep your wireless networks safe, and we can educate your staff about best practices, too. Wired connections definitely have their places in the modern office, but today’s businesses needs to come equipped with the secure mobility that an integrated wireless solution from QuestingHound Technology Partners can provide. To expand your connectivity and integrate increased productivity into your workplace, call us today at 954-727-2200 and ask about our wireless solutions.